As you may be aware the TMNT ( Teenaged Mutant Ninja Turtles) are back and are as big as they were in the early nineties! I was a big turtles fan when I was a child and I love that my seven year old is loving them too, Ben has lots of turtles LEGO and loves watching the series on the TV. He has been excited to hear about the new Ninja Turtles movie coming to cinemas on the 17th October. Although the movie seems to have given the Turtles a darker twist and is rated 12A so we may have to stick to the merchandise for now! The Combat Warrior figures from Flair have been launched to tie in with the movie release and they are much scarier than the turtles I am used to. There are four figures in the range which all come with their signature weapon and wearing the colours that they are known for. 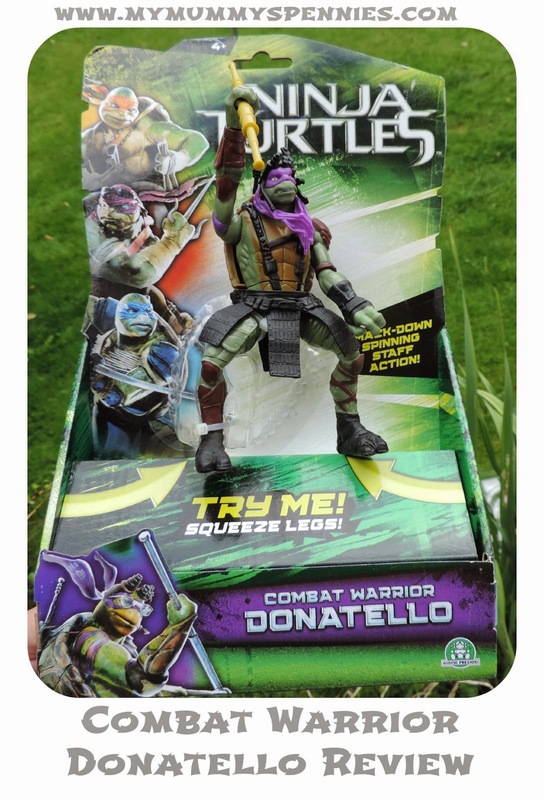 Ben was sent the Donatello Combat Warrior, he was thrilled to open the package and find 'Don' with his purple sash and armed with his bo-staff. The figure is approximately 15cm tall and made from plastic with incredible detail. The Bo-Staff is attached to one of Donatello's hands and although the other hand can be positioned on it, it cannot be removed. I found this really refreshing for a toy of this kind as Ben is always losing small plastic parts to his toys! The figure is a great size for small hands and Ben and even his almost four year old sister are easily able to squeeze the legs together to make the slashing movement. Ben loves this toy and even took it away on scout camp with him last weekend, it's ideal as a take along toy and really encourages imaginative play. The Turtles Movie Combat Warrior has a RRP of £14.99 which is pretty average for a movie tie in toy, you can check the latest prices on Amazon here. 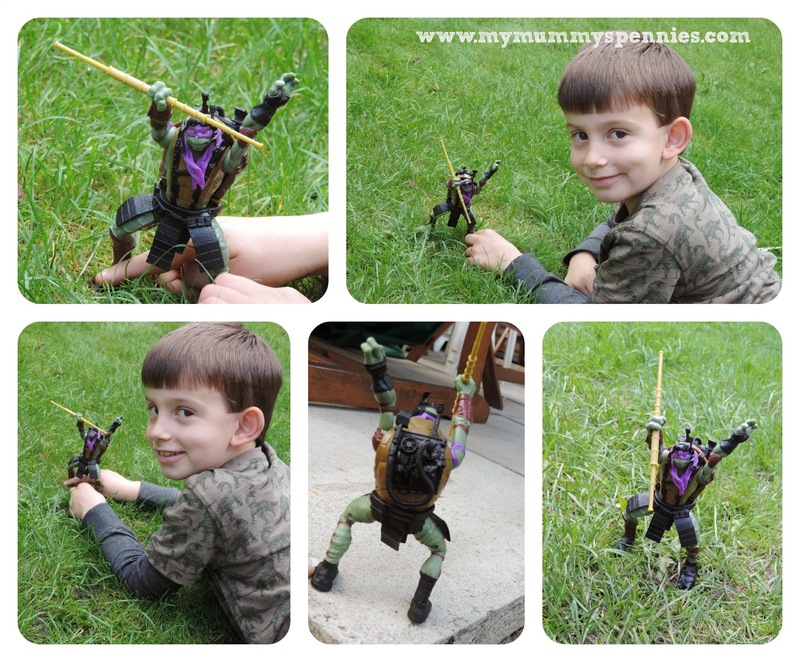 If you'd like to read more about the other figures in the range, RedRoseMummy has reviewed Raphael. Disclaimer: This product as sent to us for the purpose of review. Post contains an affiliate link.